Everyone wants talented men and women on the teams they lead. I know I do. Frankly, I want more than merely talented individuals, I want über-gifted, mediocrity-defying, shake-my-head-at-their-ability kind of folk working alongside me. I want a team of people who so often leave me in awe of their skill sets that I cannot help but gladly get on my knees in gratitude to God for them all. Make no mistake; I want a team of talented individuals. But that’s not all I want. I also want those talented men and women to have character to match. I want them to love following Jesus and not just leading others. I want them to work as hard at pursuing Christ as they do forming teams, writing music, or preaching weekends. I want them to shepherd their families with as much intensity as they do the church. I want them to live as transparently as they call others to live. 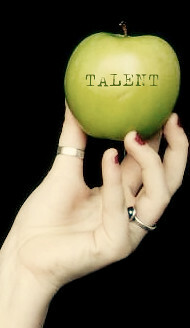 In addition to talent, I want character. Unfortunately, I think there are many church leaders who feel such great pressure of “making it all happen” each weekend that they may tend to overlook the character question when the talent question is answered so clearly every Sunday. This goes for churches both big and small, old and young. Talent brings with it a temptation – a temptation to gloss over if not turn a blind eye to a lack of character. The real question is will we, as those who lead leaders, have the character to make character as central as Scripture does? Yeah, I know our worship leader has taken no initiative in his family’s spiritual growth but, man, can he sing! I realize our pastor has a violent temper that embarrasses everyone but he packs the pews each Sunday! I understand our children’s director has a mirage of a marriage but she can build teams like no one else. Celebrate character in staff meetings. Give kudos publicly to the guy who took his wife on a weekend retreat to work on their marriage. Praise the lady on your team who responded graciously to a rude visitor in the lobby last Sunday. Celebrate “wins” in the character column as much as you do in the task side of the ministry ledger. If you recognize your staff only for their giftedness you may be helping to reinforce Pharisaism and promote cynicism among your team. Offer help to those struggling in areas of character. If it’s standard practice for you to send staff to conferences, retreats, or seminars to help develop skills or increase wisdom so they can better execute their ministries, then it stands to reason that senior leaders should include character-development as a part of this process as well. For example, if someone is struggling in their marriage, you might offer to pay for a season of counseling. This would reaffirm to your staff that you believe ministry is as much about who you are than merely what you do. It would also show you really do care about your staff as people. Fire staff who refuse to grow in character. Sounds harsh? It’s not nearly as harsh as keeping someone on staff who routinely bucks calls to repentance and essentially holds you hostage with their talent. At some point, keeping them on staff says less about their lack of character and more about yours. By the way, retaining a chronically character-challenged team member is a sure-fire way to ruin the esprit de corps of your staff. They’ll begin to see you as a leader who says one thing but does another. Frankly, it’s hard to respect and even harder to support a leader who leads from convenience instead of conviction. Recalcitrance is a cancer to your team. Don’t coddle it, cut it loose.